Downey Daily Photos: How do they do that? "Forget all the reasons why it won't work and think of one reason why it will work." 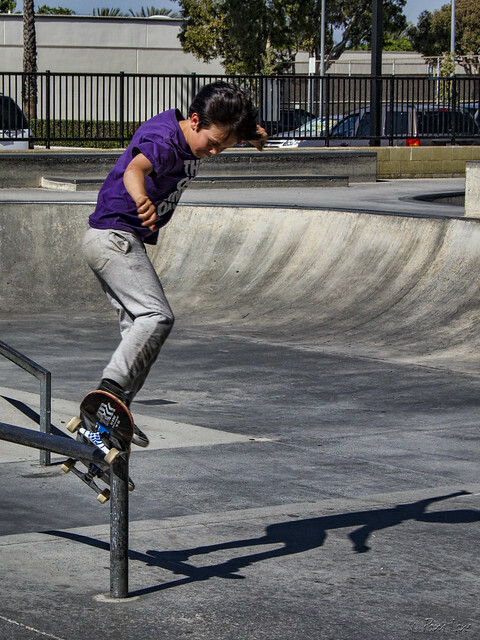 I've never understood the mechanics of skateboarding tricks. It makes no sense to me that the flat bottoms of shoes can somehow pick up and rotate or otherwise move a skateboard. 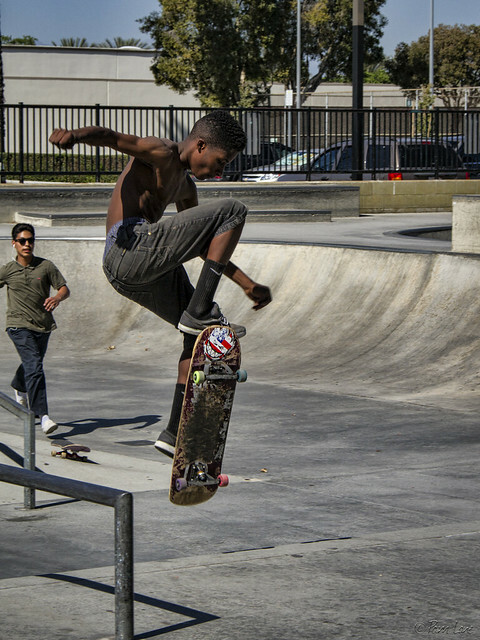 But it is fun to watch these guys maneuver their way around the skate park at Independence Park.